Experience the special flavors of Varna on this 4-hour food and wine walking tour. Accompanied by a local guide, partake in 10 tastings that encompass the cuisine of the city. Sip four different Bulgarian wines and stroll through notable food-related sites to gain a deeper understanding of Bulgarian cuisine. Meet your guide in the center of Varna for a 4-hour walking tour of the food and wine culture of the city. Learn about local gastronomy and Bulgarian history and how the two intertwine. 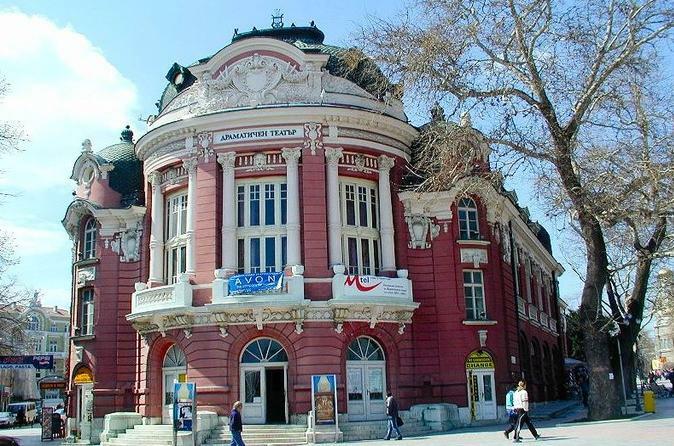 Stroll through the scenic streets of Varna and meet Bulgarian artisans. Sample local delicacies, including traditional sweets and special bread. Savor 10 distinct tastings, each contributing to your understanding of Bulgarian cuisine. Pass the market of local agricultural and household products and various craft shops. Admire a traditional 19th century house. Descend into a wine cellar, where an expert will select four different Bulgarian wines to sip. At the conclusion of this walk, understand the importance of local cuisine in Varna.